C-Com phased array antenna technology. Ottawa, November 2016: C-COM Satellite Systems Inc., the leading global provider of mobile auto-deploying satellite antenna systems, has announced that it has developed a patent pending technology to be used with its next generation in-motion phased array antennas. This technology has been developed in partnership with the University of Waterloo under the guidance of Dr. Safieddin (Ali) Safavi-Naeini, director of the Centre for Intelligent Antenna and Radio Systems (CIARS). The new method, under patent, for calibrating a phased array antenna, is expected to be used in low-profile two-way phased-array antenna systems for land-mobile satellite communications. 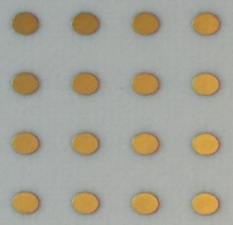 “This newly invented technique provides a faster and much lower-cost calibration process which can be easily integrated with the phased-array system, thus eliminating costly system calibration during manufacturing (production phase),” said Dr. Safieddin Safavi-Naeini, a professor at the Department of Electrical and Computer Engineering at the University of Waterloo. “The main advantage of this method is that it significantly reduces the calibration time and enhances its accuracy,” continued Dr. Safavi-Naeini. “This novel method provides a very practical solution in terms of product reliability. Calibration can be performed in the field at any time without requiring the antenna to be shipped back to the equipment provider,” said Bilal Awada, Chief Technology Officer of C-COM Satellite Systems Inc.
“We look forward to continuing our collaboration with the University of Waterloo and support the research on this unique Ka-band in-motion antenna technology,” said Leslie Klein, President and CEO of C-COM Satellite Systems Inc.